Watts, P. & Miller, A (1988) A dose of our own medicine: a look at planning successful learning for educational psychologists. 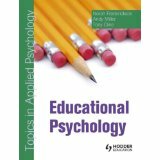 Educational and Child Psychology. 5, 3, 145-52. Cranwell, D. & Miller, A. (1987) Do parents understand the terminology used by professionals in their children’s’ statements of special needs? Educational Psychology in Practice. 3, 2, 27-32. Miller, A. (1987) Is there still a place for paired reading? 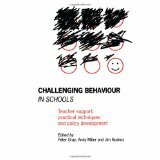 Educational Psychology in Practice. 3, 1, 38-43. Miller, A. Robson, D. & Bushell, R. (1986) Parental participation in paired reading: a controlled study. Educational Psychology. 6, 3, 277-84. Miller, A. (1981) Approaches to the failing reader: a problem of paradigm competition. Remedial Education. 16, 2, 71-76. Miller, A. 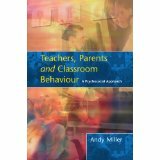 (1980) Systems theory applied to the work of an educational psychologist. Association of Educational Psychologists Journal. 5,3,11-16. Miller, A. & Ellis, J. (1980) A behaviour management course for a group of mothers: the importance of the course setting for effective use of available resources. Child: Care, Health and Development. 6, 147-155. Miller, A. 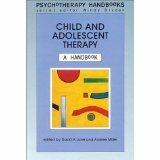 (1979) A classroom-based treatment programme for an extremely withdrawn six-year old boy. Remedial Education. 14, 138-142. Galloway, D. & Miller, A. (1978) The use of graded in-vivo flooding in the treatment of children’s phobias. Behavioural Psychotherapy. 6, 2.